Rhubarb has made its grand entrance at my local farmers’ market. I brought home a small bundle and set about making them into something delicious. When I was a kid, we used to have a bunch growing in our backyard. I used to cut them up and roll them in sugar. It was the perfect combination of tart and sweet. 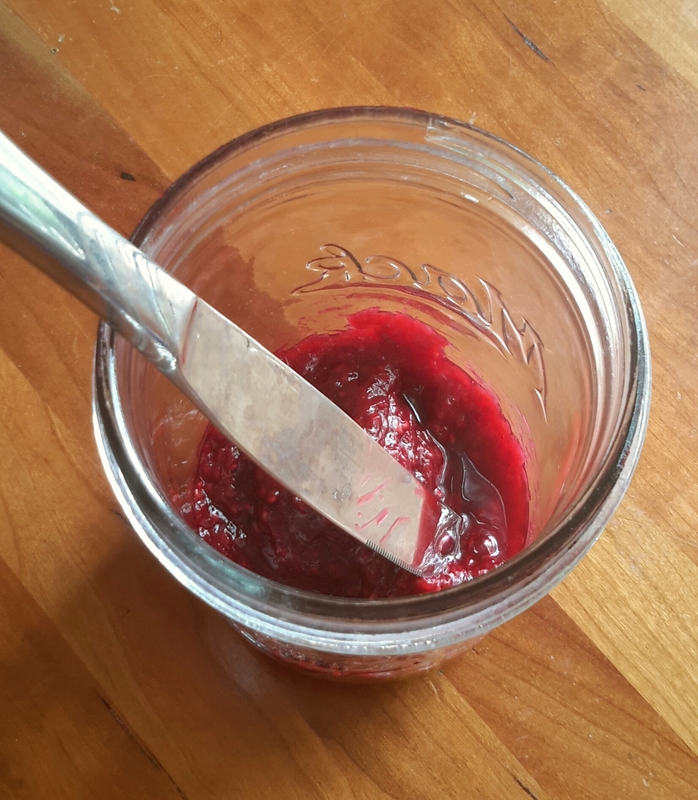 This jam shares the wonderful balance between tart and sweet. A decadent topping for the Urban Poser’s scrumptious Vanilla Ice Cream. Recipe in her new book My Paleo Patisserie. 1.) 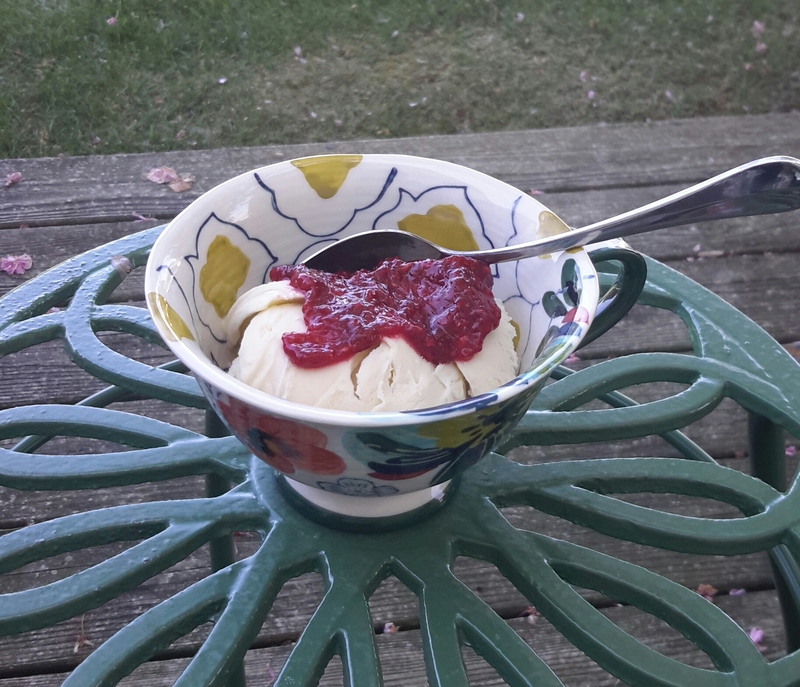 Combine rhubarb, raspberries, and water in a small saucepan. Cover and bring to a boil and then reduce heat to a low simmer. Simmer until thickened, around 20 minutes, stirring every few minutes. 2.) Uncover and add honey. By now, the fruit should be very soft. Simmer for a few more minutes, stirring constantly. Remove from heat when it has reached desired consistency. 3.) Store in the refrigerator in an airtight container for up to a week. Enjoy on all of your baked goodies and treats! It makes about 2 cups. 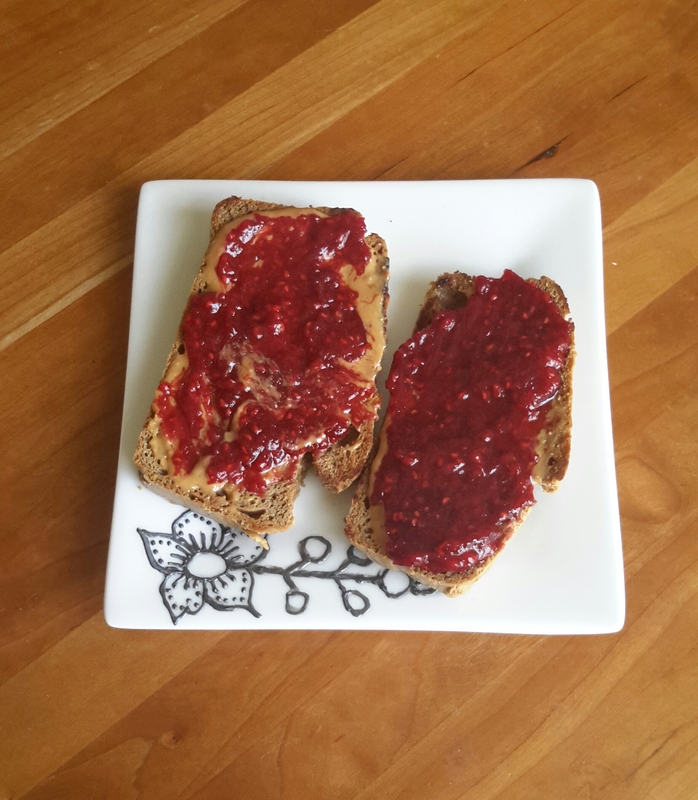 PB&J on Against All Grain’s blender bread. Recipe in her ebook, Joyful. I love rhubarb! I always see it in the store but never feel like making a pie… this is a great idea.